Reservations are now closed. Thank you for your interest. A Boy and His Samurai (Chonmage Purin), a charming comedy that explores unconventional family dynamics in modern Japan, begins with single mother Hiroko encountering a confused young man in samurai garb wandering in her neighbourhood, seemingly the victim of a time warp. When the samurai, Yasube, saves her child from a traffic accident, she invites him to stay at their house until he gets his bearings. Despite his conservative views on traditional gender roles, he quickly adapts to a new role as a caregiver and homemaker while Hiroko works full time. 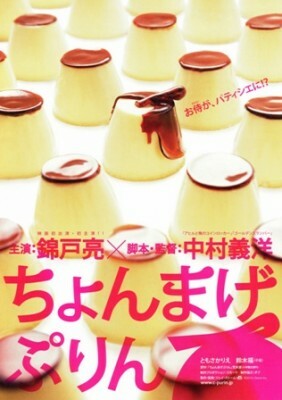 However, when he discovers an unexpected talent for pastry making that puts him in the spotlight, their domestic arrangement is disrupted and the nature of their relationship is thrown into doubt. Yoshihiro Nakamura, guest of honour at the 2014 Toronto Japanese Film Festival, has had a diverse and fascinating career as a writer and director. His film Fish Story opened the 2009 Reel Asian International Film Festival, and Golden Slumbers was the 2010 Reel Asian centerpiece presentation. His screenwriting credits include the J-Horror classic Dark Water (2002) and the indie prison comedy-drama Doing Time (2002). 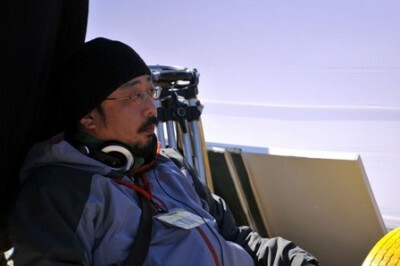 Mr. Nakamura has directed more than 15 films, including Fish Story; The Foreign Duck, The Native Duck and the God in the Coin Locker; Potechi; and See You Tomorrow, Everyone.